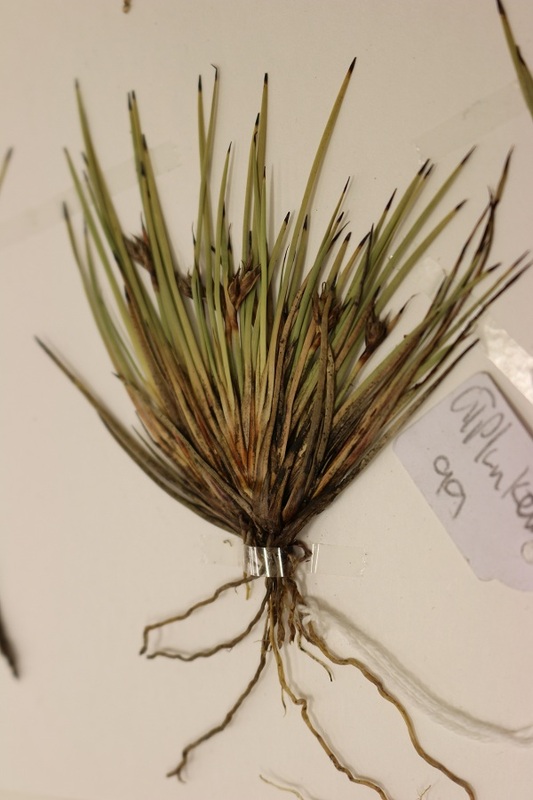 The first Tasmanian alpine sword-sedge, a small clumping plant has been discovered by University of New England researchers a long way from its natural home. 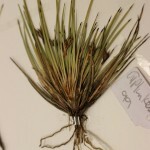 The sedge, Lepidosperma monticola (pictured) which is unique in being the only species in that genus restricted to alpine regions of Tasmania was identified by UNE Botanist PHD student George Plunkett in the herbarium at Armidale in New South Wales. Mr Plunkett says he made the discovery while examining seed and plant samples, which had been loaned to the UNE herbarium. “Discovering a new Tasmanian plant species is a rare event because the flora from that state is relatively well known. It was the length of the leaf compared to the stem which originally made me more interested in investigating these plant samples.” He says follow up work included examining fruit from the plant, which appeared to have a distinctive smooth surface. George Plunkett says after realising this could potentially be a previously unrecorded plant species, the next stage was trekking the high mountains of Tasmania to locate the plant in its natural surroundings. The Lepidosperma monticola is related to the Lepidosperma family of sword sedges, which take their name from distinctive elongated and flattened leaves, shaped like a double-edged sword. Mr Plunkett says ants remove the tiny fruit after it falls from the plant, giving it a distinct place in the local ecology. He says now that one new species has been identified, that probably opens to the door to finding even more members of the family.